Thread: Amnat Charoen..lived there anyone? Needed a plan..thought about it, somewhere have not been, lived. Decided to go and try Amnat Charoen. 600 or so km's from BKK..
Will stay in BKK for 2 days, ex BIL is coming with me, good worker, will need help with a project.He knows Ubon, not Amnat. Day one..find a Hilux..lots and lots around. Day 2 ..find a Hilux..
2 bottles left..bugger..daughter won't go and get some more..beer. Where are you in oz and why are you leaving. 2 bottles left..bugger..daughter won't go and get some more..beer. Any suggestions appreciated. Ask her again and more politely? Oh my. Go there all the time. On a scale of 1 to 10 ranks -4 on places to go unless, as with I, you have to go there to renew visa's. In WA..why stay here..be in a pine box one day..where in world do I feel happy..
Thailand..why..people, culture, spirituality, lifestyle, cheaper beer, no telephones ringing. Don't watch TV so world can merrily cruise by. No hassles or petty crap, can be in a huge crowd and have your own space..never felt that anywhere but Thailand.Thats a hard one to explain. Thanks AO, 2 more bottles just appeared, SIL must have a stash. I did ask her nicely. Norton ..probably will be just like that, only have to turn the key to leave..
Will of course give it a week..
During your week in Amnat turn the key and head east to the Mekong then North along the river road. Adventure awaits. If I head east to the Mekong, then north , that will take me to Mukdahan, Nakhon Phanom..the eventually to NK. 8 bottles of beer, brain is trying to work it out. Well should be plenty of roadside vendors, selling sticky rice. Looks like some good photography there. I noticed through my car window that Amnat seems a pleasant enough place, nice looking Chinese temple there too. I heard there is even a half decent steak house. I think I may have stopped for fuel there once. As always, some farangs about- although they tend to come for Ubon for nightlife, and that's pretty desperate. You seem to have the right attitood- gi' it a go, whats to lose? Amnat Charoen is not so bad if you like peace and quiet. Try the Malila Restaurant opposite the hospital by the overhead walkway then 400 meters up that Road. Great food and reasonable in a great envoirment, we are lucky to have a classy place like that in a medium sized town. Nice people and the chef is Oz trained in his trade. 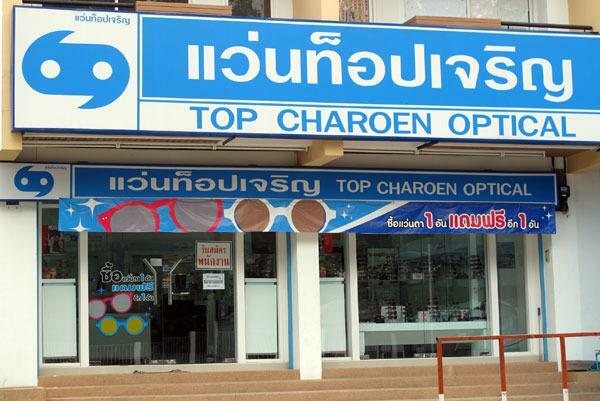 Of course any major shopping is usually done in Ubon or Mukdahan. The Route 202 Restaurant is pretty good also on the road to Yasothon. A few of us local farangs often have coffee mid mornings at the Amazon Café at the north end PTT station. Last edited by gerry53; 29-07-2015 at 10:21 AM. Not lived there. but a mate has stayed there a few times. Not much going on at all according to him. I am not aware of a single farang style place in town. Its the sort of place most people drive through to get to Ubon as that's got a lot of varied bars/restaurants etc. I am not aware of a single farang style place in town. Dave - you are not aware because as you stated you have never been there??? The Milila Restaurant is Thai owned and the people lived in Oz for many years, they speak great English, train staff to high western standards, have a great menu and are very pleasant. It is high class, reasonable priced with a good wine list, fancy coffees plus tablecloths. I have no interests in this place at all but disagree with your generalization. Maybe you prefer a farang owned restaurant with poor food and staff with no air conditioning? I did not state that I have never been there (as I have) but glad you can help with one recommendation. I've stayed at the Fai Kid Hotel many times. Amnat is not for me. Last edited by hooter; 05-08-2015 at 03:36 AM. Posting pictures ain't easy wtf? Last edited by hooter; 05-08-2015 at 03:50 AM. I agree Amnat not for everyone Hooter. I like mid sized cities with some conveniences, few traffic issues, a variety of characters, plus closeness to larger shopping and transportation centers (like Ubon Rachithani). Being a provincial capital Amnat has many well educated Thai's often in government jobs - it is not like a rural village. I have great internet, TV, banking, immigration and a Big C within a few kilometers. I don't like large cities in my own country either so I personally like Amnat Charoen with monthly trips elsewhere because I enjoy travelling and new scenery. Most of us we tend to settle down where our spouse or girlfriend (or both) have ties - I am no different. I stayed at the Faikid Hotel before we built our house, it was OK with better options available elsewhere in town.